The art of Marc Chagall will fill up the first floor of the MASP Museum with the exhibition "O Mundo Mágico de Marc Chagall - Gravuras" (The Magic World of Marc Chagall - Prints). Curated by Fabio Magalhães, the exhibition brings 178 images, which includes 23 pictures of "The Fables of La Fontaine" (1920) and the complete series "The Bible" (1930) and "Daphne and Chloe" (1950s) — 42 paintings made in 1953 and 1954, about two trips that Chagall made for Greece in order to know the rural culture of the country. 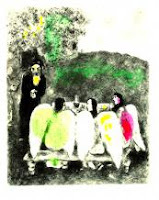 The series "Fables of La Fontaine", with 23 engravings, was a work produced in 1926 and 1927, intended to Marc Chagall by the critic and art dealer, Ambroise Vollard. Before Chagall ended the series, Vollard asked a series of works that would be named "The Bible", with includes 105 engravings. 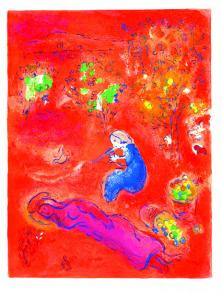 Chagall went to Palestine to get to know the history of biblical events. Then worked on it from 1931 to 1939. The Russian painter and engraver died in 1985 in France (97 years old). 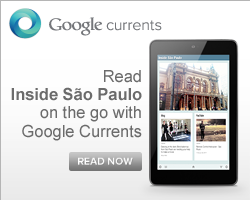 How much: R$ 15 but on Monday, the anniversary of Sao Paulo will be for free!